Nice house with beautiful mountain view. We had two-bedroom apartment. Spacious and clean, comfortable beds and a balcony to enjoy breakfast. The location was 100 meters from the center. We consider the quiet location a plus. Some might prefer a more central location. Large balcony, well supplied kitchen. Lots of outlets. Wifi was fine. We were very happy to have this fantastic view from balcony! 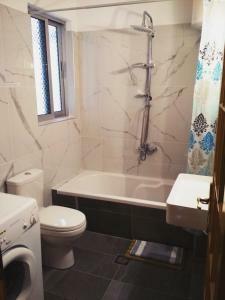 The room is very simple design, but for this money it is very good! And it was so nice to seat near fireplace in common area in this cold everning and drink home wine:) Thanks to owner for his help! Very clean, friendly host and family, good location. The view from the deluxe apartment on the top floor was amazing. The apartment is spacious, comfortable and very nicely decorated. Beautiful appartment, nice view, everything was very clean. The host was really friendly. Room was very nice, the place is very well located in a quiet area close to the center and our host was very friendly and helpful. I would definitely stay there again. Lock in a great price for Oresivio – rated 9.5 by recent guests! 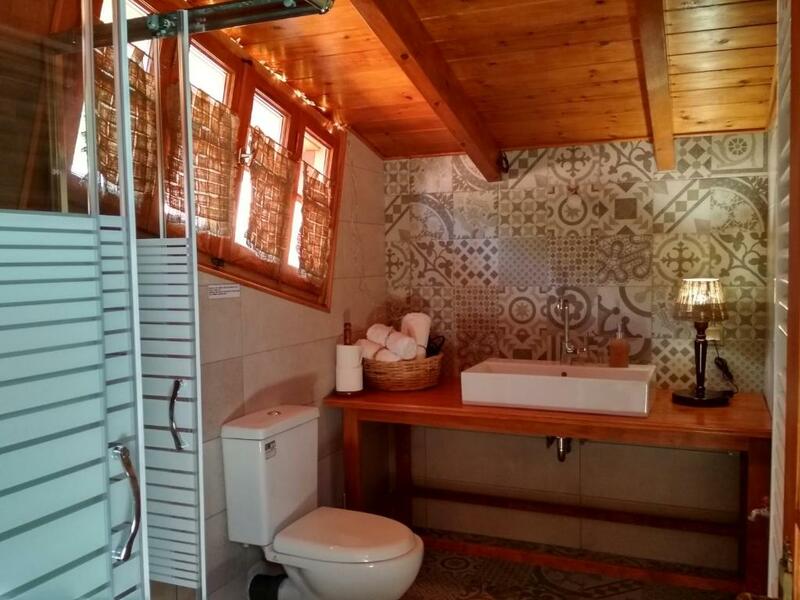 Just 1,000 feet from the scenic square of Metsovo, Oresivio is 0.6 mi from Karakoli Ski Center. It features accommodations with free Wi-Fi and a balcony overlooking the mountains of Pindus. 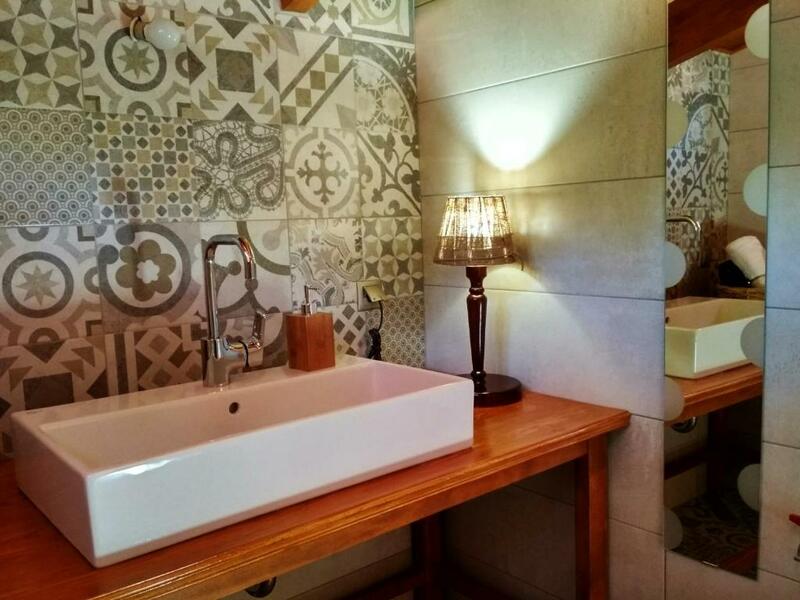 Featuring wrought iron beds and local artifacts, all units at the Oresivio have an LCD TV and private bathroom with hairdryer. Some accommodations types feature a kitchenette with cooking facilities. Breakfast is served on the sun terrace where guests can have coffee. A winery where guests can taste local wines is at 500 feet and there are traditional taverns within a 3-minute walk. A municipal playground and public gym can be found within 1,650 feet of the property. Profitis Ilias Ski Center is 1.9 mi from Oresivio. When would you like to stay at Oresivio? 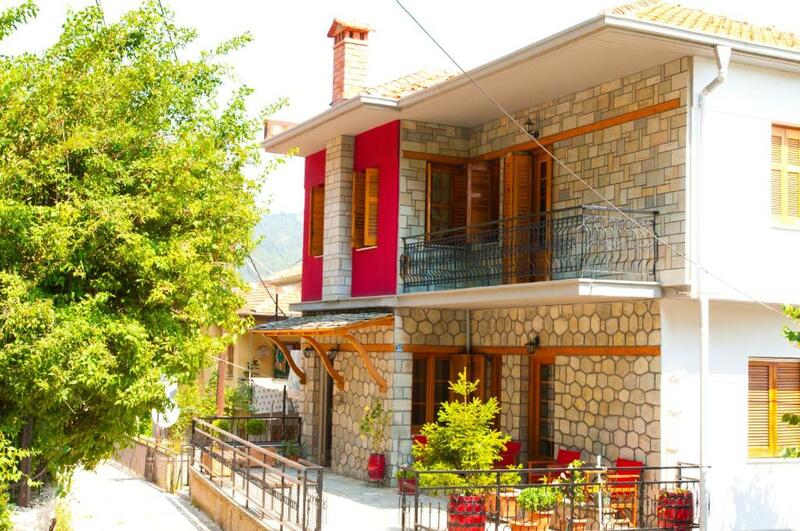 Features free Wi-Fi and a balcony overlooking the mountains of Pindus. Decorated with a wrought iron bed and local artifacts, it includes an LCD TV and private bathroom with hairdryer. Please note that baby cots are available upon request and availability at extra charge. 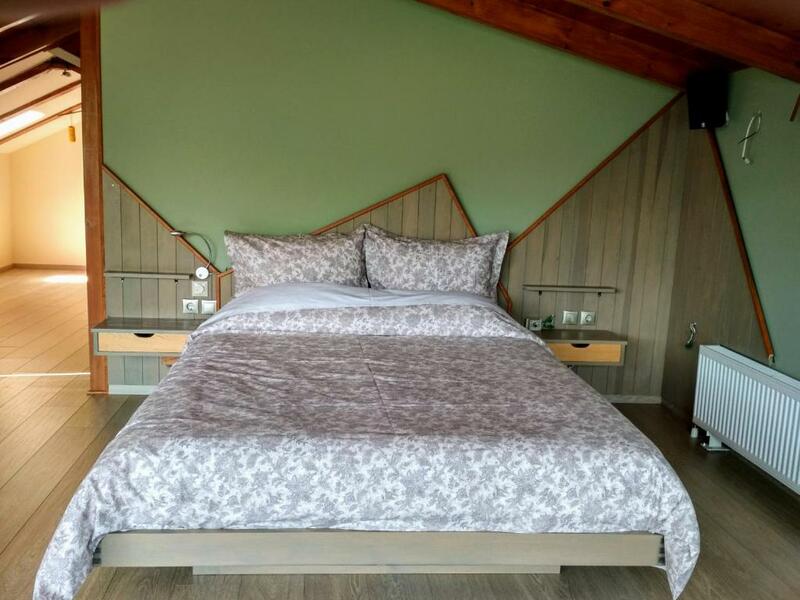 Spacious studio featuring free Wi-Fi and a balcony overlooking the mountains of Pindus. It offers a kitchenette with cooking facilities and fridge. 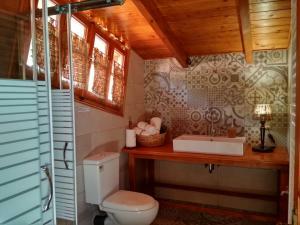 Decorated with a wrought iron bed and local artifacts, it includes an LCD TV and private bathroom with hairdryer. Consists of seating area and bedroom. 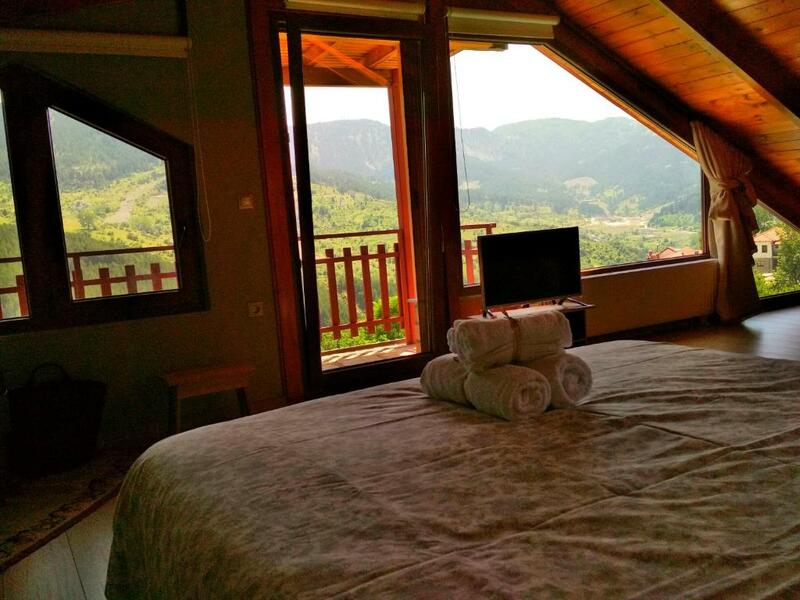 Features free Wi-Fi and a balcony overlooking the mountains of Pindus. 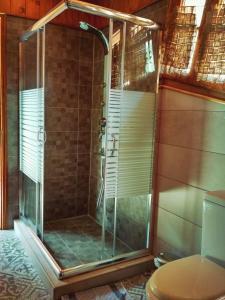 Decorated with a wrought iron bed and local artifacts, it includes an LCD TV and private bathroom with hairdryer. Consisting of 2 separate bedrooms, this apartment features free Wi-Fi and a balcony overlooking the mountains of Pindus. It offers a separate kitchenette with cooking facilities and fridge. Decorated with a wrought iron bed and local artifacts, it includes an LCD TV and private bathroom with hairdryer. 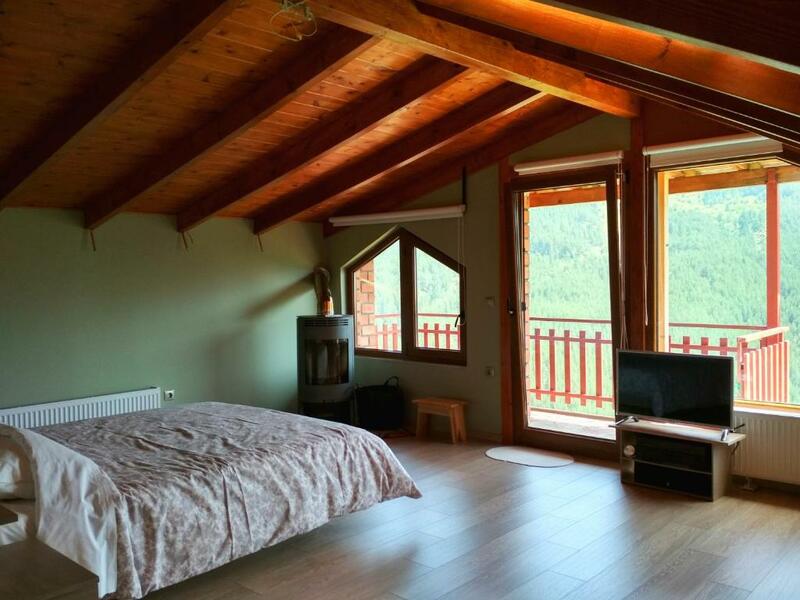 Consisting of 2 separate bedrooms and a living room this apartment opens to a balcony overlooking the nearby forest. It offers a separate kitchenette with cooking facilities and fridge. Decorated with a wrought iron bed and local artifacts, it includes an LCD TV and private bathroom with hairdryer. Free Wi-Fi is available. 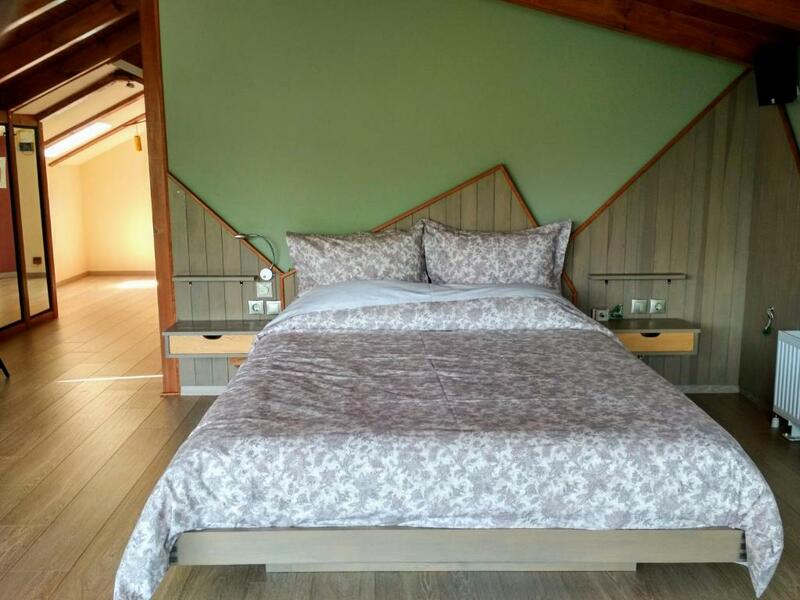 Peacefull Quiet location, new mattress, clean renovated rooms, family owned, kitchen equiped, and a carpentry lab in the basement where u can see the machines that used to construct the traditional wood crafts. Quite neighborhood, under a liden park, close to the central road. House Rules Oresivio takes special requests – add in the next step! Oresivio accepts these cards and reserves the right to temporarily hold an amount prior to arrival. Amazing location and view, plenty of space, very clean. Beautiful view, friendly staff and great location. We loved the view on the mountains, peacefulness, traditional decorations. Having two rooms with lovely view, friendly host, host a talented musician, playing bouzouki and guitar for us.